A woman has been killed in a possible hit-and-run collision. 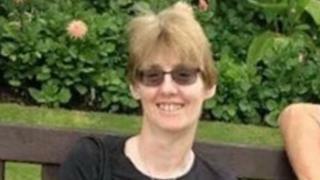 Jeanette Bourne, 47, was found in Pitgreen Lane, Newcastle-under-Lyme, Staffordshire at about 00:20 GMT on Saturday. It is thought she was hit after leaving Wolstanton Social Club, and detectives are trying to identify any people or vehicles involved. A post-mortem examination to establish her cause of death will take place on Thursday. Staffordshire Police said Ms Bourne, known as Nettie, from Keeling Street, Wolstanton, left the club around midnight. Two men, a 19-year-old from Newcastle arrested on suspicion of death by dangerous driving and a 28-year-old, also from Newcastle, arrested on suspicion of being unfit to drive through drink or drugs, have both been released under investigation. Det Insp Adrian Webb said officers' thoughts were with Ms Bourne's family and the force was working hard to understand the circumstances that led to her death. He appealed for anyone who may have seen what happened, or who may have dashcam or CCTV footage, to come forward.